Exhibition & Showcase An interactive forum to explore, learn & collaborate! 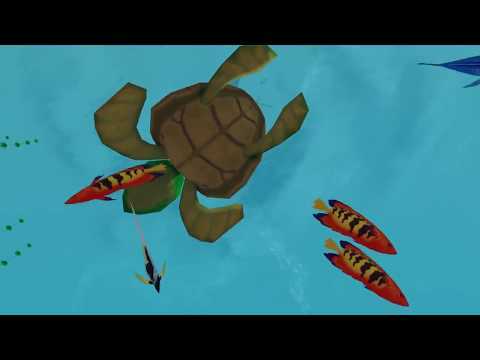 IGNITE VR and NUH presents Under the SEA VR: A Virtual Reality Game designed to ease preoperative anxiety of anesthesia in children. Winner of the Global HIT Challenge 2017, this VR experience which we will demo at the Serious Game Conference 2017 to show you how an immersive experience can be a solution for real world problems. Learn about principles of statics of particles as you assemble and send robots to protect the energy core from being stolen. Player will be able to understand forces dynamics using gameplay that mimics a free body diagram. Learn about deflection on a cantilever beam as an onboard engineer in a pirate ship. Figure out a way to deliver as much goods as possible to earn the maximum profit. Practice and understand the subject through the game and challenge your friend in a local multiplayer game. Experience zero gravity in a Virtual Reality space simulation. Float around and find out what is wrong with the space ship. Fix the ship to power up the space ship. 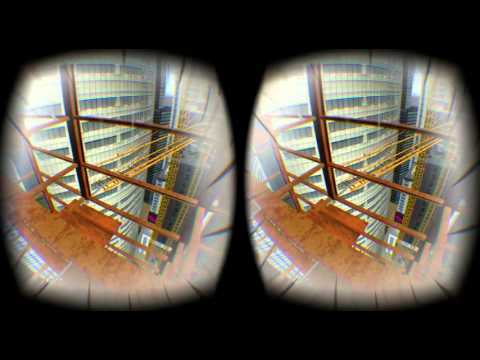 A VR game that player find his way around a high-rise construction site. This game is a collaboration with NTUC. It is intend to user to overcome the height phobia. Practice makes perfect and this is true for all trades. This game allows learners to practice and re-enforce what they have learned in the lessons by Asian Culinary Institute through realistic simulations. One of the core game features is the meat fabrication, where the learners will be able to practice the steps of meat fabrication thoroughly, without having the need to buy an actual meat. The polar caps are melting and the animals’ homes are being devastated. The animals now have to fight for space on their shrinking home. Join the Penguins, a group of angry (and flightless) birds as they challenge other animals for dominance over the polar caps! Penguin Brawl is a hilarious Beat-‘em-Up game where the Penguins must use both fighting moves and unique physics mechanics to defeat their opponents. Designed in collaboration with creative production house No Average Joe, Penguin Brawl aims to tickle the funny bone while educating the public on the devastating impact human activities can have on the environment, putting hapless animals at risk of extinction. To children, a hospital can be a vast, frightening otherworldly place. Luckily, they can dive into the world of Surgination, a friendly, colourful and funky alternate universe! Designed in collaboration with NUS, Surgination is a 2D platform game for Android mobile devices, aimed at familiarising children with the places and procedures at a hospital. With unique character abilities, gameplay that parallels actual pre-operative procedures, and the ability to “switch” between the real and fantasy worlds, children will learn about hospital procedures while having fun at the same time. No pain, no gain! Join our brave adventurer Mininopain as he fights off the nefarious Painsters and Fearsters, with the help of items around the hospital. Designed in collaboration with NUS to make children feel comfortable with minor surgeries, Mininopain is a 2D side scrolling action game for Android mobile devices, where players take control of Mininopain, running, jumping and using abilities through different parts of a hospital. His mission is to acquire the “pain destructinator” and kill off all of the monsters in the game that are a metaphorical manifestation of fear and pain in a child’s mind. Stranded is a leadership simulation game taking place in future dystopian world, where resources are scarce. Player takes the role of a survivor who have to lead of the four strangers to gather resources to get out of the predicament. These strangers have different personality traits and may respond differently to tasks and instructions. Code Blue is a fast-paced strategy game where players manage a team of medical specialists to dynamically react to medical situations. The game reads and loads real-world AED location data into the game so that players are made aware that these machines exist and where they can be found. Piece by Piece is a digital game built in collaboration with human-computer interaction researchers at SUTD, and with mental health professionals at Changi General Hospital. The game is designed to promote Well-Being in seniors with early to moderate Dementia, who have unique memory, visual-spatial, information processing, and motor skill needs that make most commercially available games unsuitable for play. Piece by Piece offers light cognitive challenge through tangram-style puzzles assembled with pieces that appear to the player in batches– the number of pieces in the puzzle and in each batch is responsive to the player’s performance, and adjusts to the player’s abilities, ensuring that they feel sufficiently challenged, and always empowered. Initiated by Channel News Asia, “Future of work” is a project which uses the Virtual Reality (VR) technology to envision how the advancement of technology can impact the way we work in the future. Using estate planning as the context of this serious game, this potential software can help Estate Developers visualise and plan their estates. Features of the simulation includes the construction of apartment blocks, selection of amenities, and placement of street lights in an estate. The game Numerelic whizzes the player into the realm of integers via a travel machine. The player traverses through bizarre puzzle worlds of mathematics in a quest to locate the statue of Numerelic. VR Table Setup is a serious game developed by Temasek Polytechnic for training of their students on service skills using Virtual Reality technology,students from 3 different diplomas within the hospitality cluster of the School of Business will be able to learn how to arrange the setting a dining table for 4 person according to a set of prescribed criteria.